Unforgiven is available on Netflix Instant Streaming (as of April 2016). I will be periodically highlighting films that I love, hate, or feel are under appreciated. 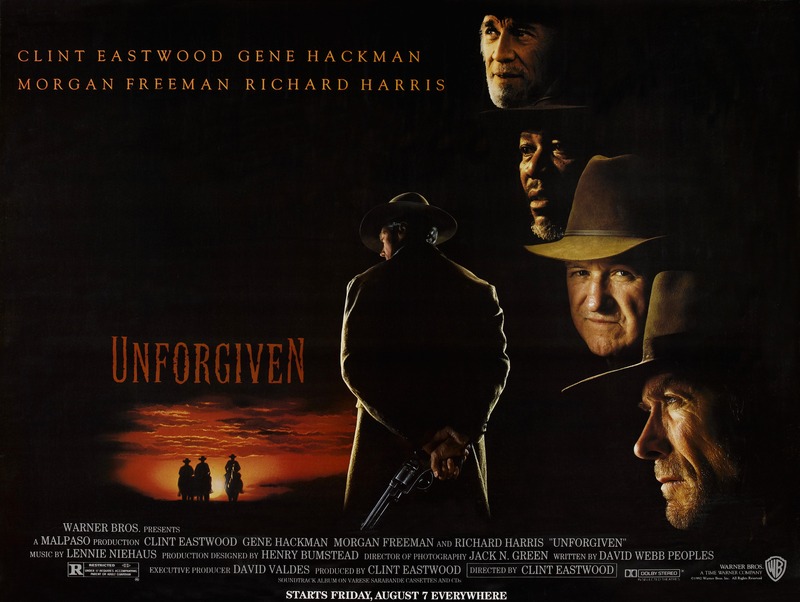 Unforgiven is a film I would consider a GOAT (Greatest Of All Time). Spoiler Warning! Spoilers for this twenty year old film after the jump.